St. Luke A.M.E. Church is getting set to hold their annual Flea Market & Bake Sale Fundraiser on Saturday [Aug 25] from 9.00am to 6.00pm at St. George’s Causeway. A spokesperson said, “St. Luke A.M.E. Church’s Annual Flea Market & Bake Sale Fundraiser has been taking place for several years now. It’s a great time to shop around for book, clothes, toys, and household items. 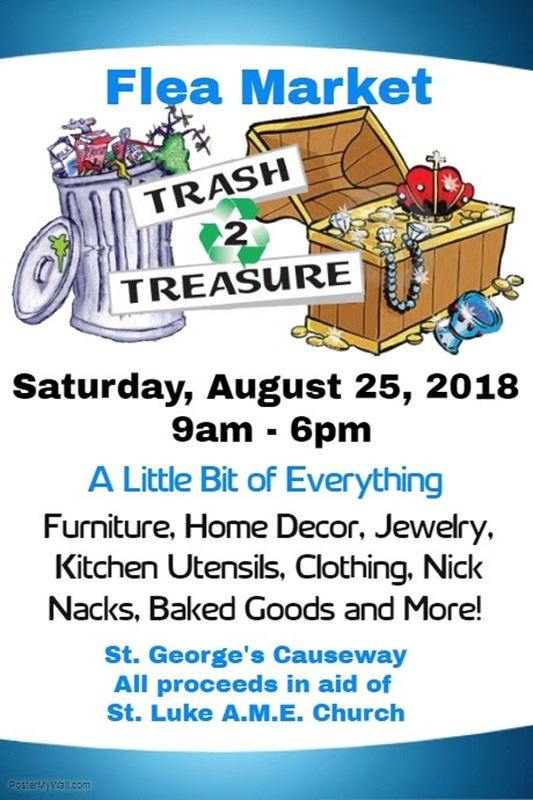 The 2018 event will be held on Saturday, August 25, 2018 at the St. George’s Causeway from 9 a.m. – 6 p.m.
“We are always looking for donations which can be collected from you or dropped off at the church with prior arrangements starting now up until the event. Please contact 504-7735 or 737-7804.